In order to ensure they are prepared for drought, the first step that farmers and property owners are encouraged to take involves developing a farm plan. 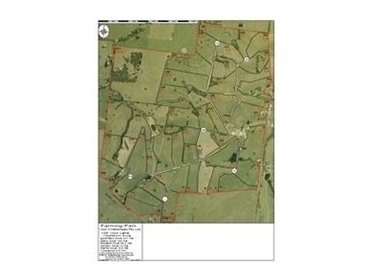 A farm plan involves identifying the current features of a property, such as fences, water sources, sheds, roads and so forth and recording them on a map. It can then be used to assess the improvements that may be required in order to enhance the property’s ability to protect itself from drought. This process can often be time consuming, particularly for large properties, as property owners are required to physically explore their land in order to identify all of its features. Accuracy is not always guaranteed, as the existence of underground features such as water or irrigation pumps may not be known or are forgotten. Thanks to recent technological advancements, Farm Mapping Services are able to provide property owners with a map of their farm based on ortho corrected aerial or satellite photos, or GPS data. These farm maps include a number of layers, and they identify basic elements such as paddocks, along with those that cannot be seen by the human eye, such as underground water pipers. They can also be used to plan upgrades and improvements to farms as they highlight what the farm is missing or requires for better drought management, and can, for example, uncover where the perfect location to install irrigation pivots. These farm maps from Farm Mapping Services allow property owners to create farm plans that are highly accurate, which allows them to develop effective strategies for drought management and can subsequently minimise the damage caused by drought. The company produces farm maps in various different formats, from A4 paper maps and large magnetic whiteboards through to PDF versions.